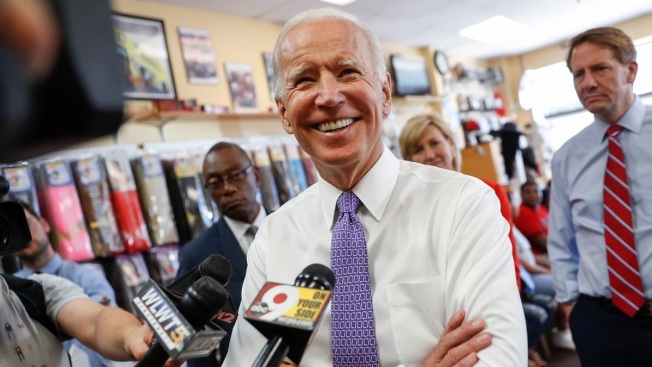 Former Vice President Joe Biden will come to Orange County on Thursday to help energize the campaigns of several Orange County congressional hopefuls. Mike Levin, who is running against Republican Diane Harkey to succeed Rep. Darrell Issa, R-Vista, said he met Biden "many years ago, very briefly," so he is "excited he's coming back to Orange County." Levin believes Biden's rally will "continue to add to the unprecedented level of excitement that we're seeing in Orange County." Levin said Democrats have shown "tons of momentum as we enter into Nov. 6," election day. As for talk of Biden running for president, Levin would only say, "I'm only focused, and I mean this sincerely, on 2018. That discussion will happen in due course, but right now we have 34 days to take back the House." Biden will join California Democratic Party Chairman Eric Bauman and congressional candidates TJ Cox, Gil Cisneros, Katie Porter, Harley Rouda and Levin at the rally, which will be held at 4 p.m. in the Titan Student Union on the Cal State Fullerton campus. Levin said he has seen a rise in enthusiasm among younger voters, who tend to skip mid-term elections. "I haven't seen anything like it since the 2008 election when President Obama was running, and I'm really thrilled to see that type of momentum," Levin said. "For a lot of people the only president they ever knew was President Obama and, perhaps, they took things for granted," Levin said. "I think they no longer take them for granted." Orange County Republican Chairman Fred Whitaker doubted Biden's rally will have much of an impact on the election. "I think he'll get about as much attention as Obama, a few hundred people," said Whitaker of the former president's recent stop in Orange County for a rally. Whitaker took a dig at Biden's fundraising for U.S. Sen. Dianne Feinstein on Wednesday. "I think it's very interesting that Feinstein had creepy Uncle Joe fundraising for her with all the self-righteous indignation at (Supreme Court Justice nominee Brett) Kavanaugh's hearing from Democrats," Whitaker said.